WONDERFUL 7th-floor corner unit offering wraparound balcony and sweeping, panoramic views as far as Virginia. Rare 3BR+DEN with 2.5BAs, built-in cabinetry and parquet floors. Floor-to-ceiling windows-- filled with natural light! Freshly Painted. One-car garage parking. The Foxhall Condominium is a luxury building with security gate, doorman, fitness center, sauna, indoor pool and much, much more. 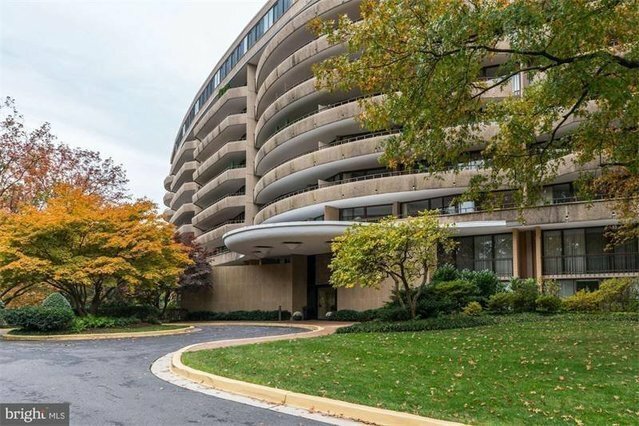 Close to Tenleytown Metro, transportation, upper Georgetown, restaurants, shops and the Glover Park hiking trail. All utilities plus basic cable Wi-Fi included in fees. A must-see!